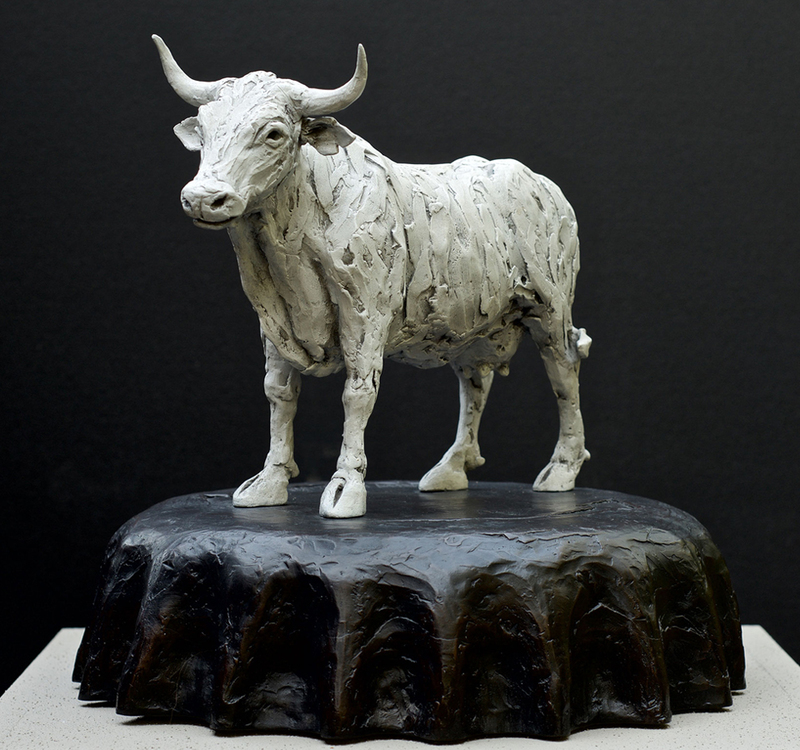 “50 Cow Girls” – A body of work, inspired by the multiple roles of cattle in Africa. 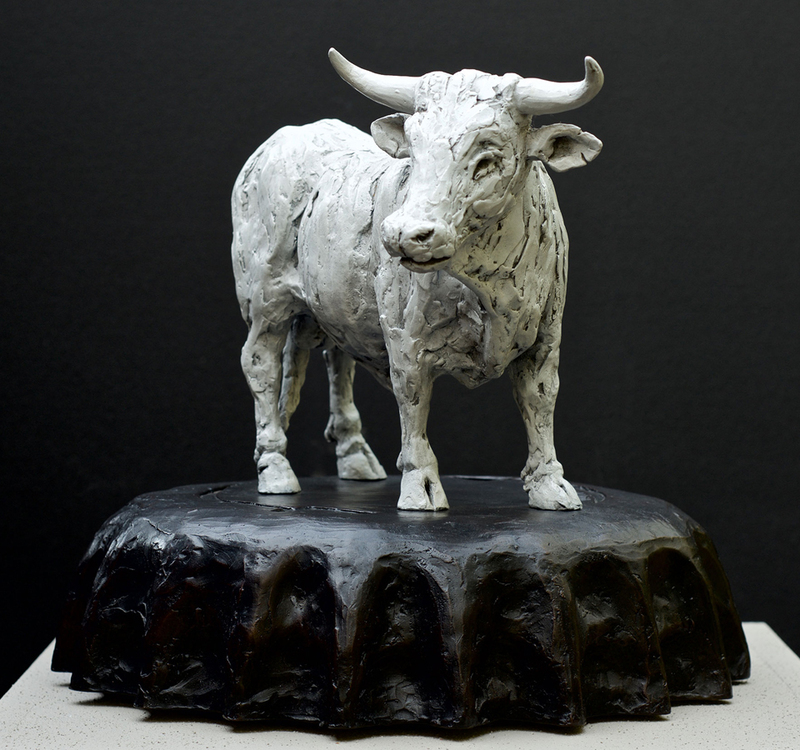 A collection of bronze sculptures, paintings and photographic works. Traditionally in the “Labola” system, when a girl is married, the groom has to pay the brides family “labola” or bride price. The price or number of cows is determined by various criteria – The girl’s family standing in the community – Her beauty – Her behaviour. For example, a chief’s daughter would possibly fetch 50 cows. A 50 cow girl! The negotiations around the price is a game of skill and strategy, much like the African game of “Moraba-raba” which traditionally was taught to young herd-boys to hone their skills at strategic thinking. 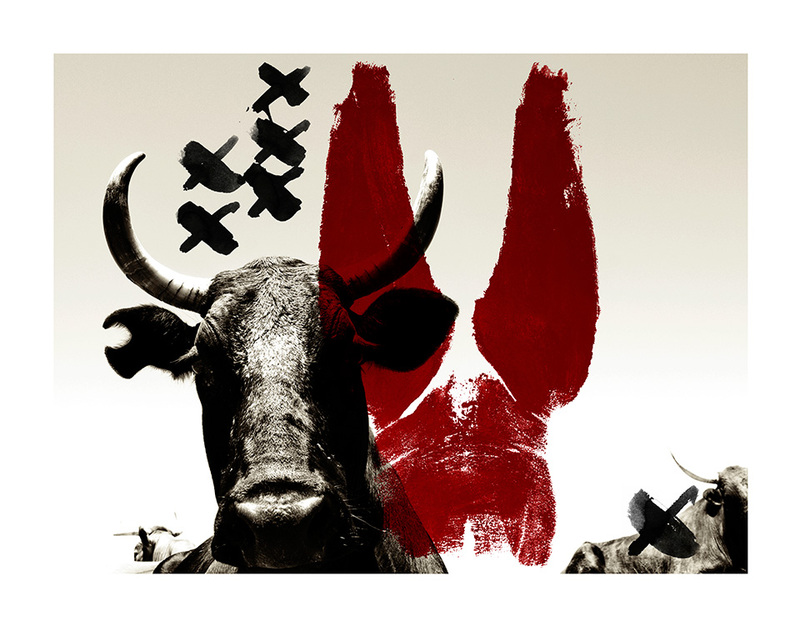 The playing pieces of “Moraba-raba” represent cattle. The game taught boys to see the bigger picture and to act decisively and to their advantage. Bottle tops are used as game pieces in the more contemporary game played across Africa today. The sculptures created are trophy like, not only for the winner of the Moraba-raba game but also represent the purchasing of a trophy wife. 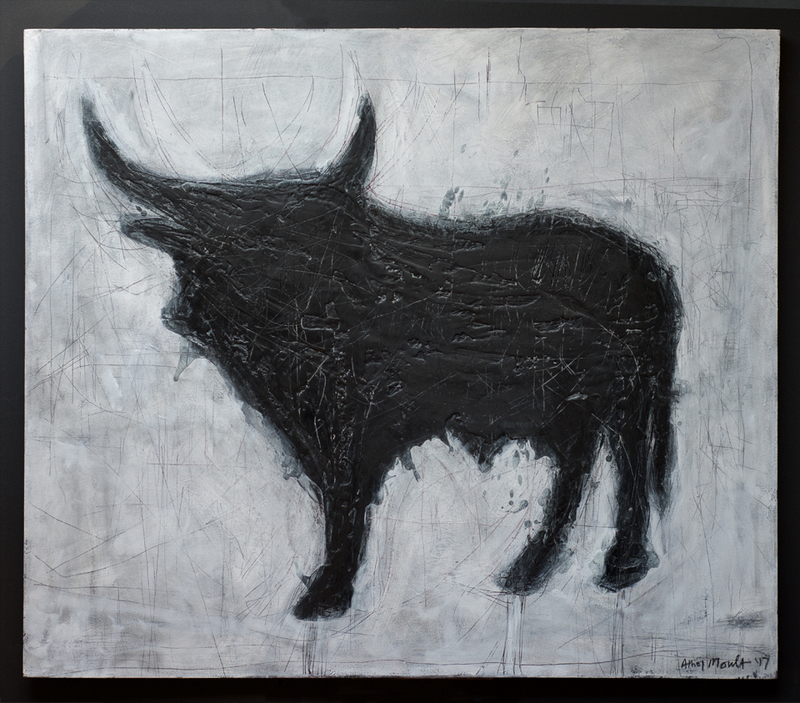 The cow and bull are patinated in white as a white cow or bull are seen as the most valuable in African cultures. Using sculpture, encaustic painting, photography, printmaking and body prints the artworks capture the mystery and strategy that is Labola and Moraba-raba. 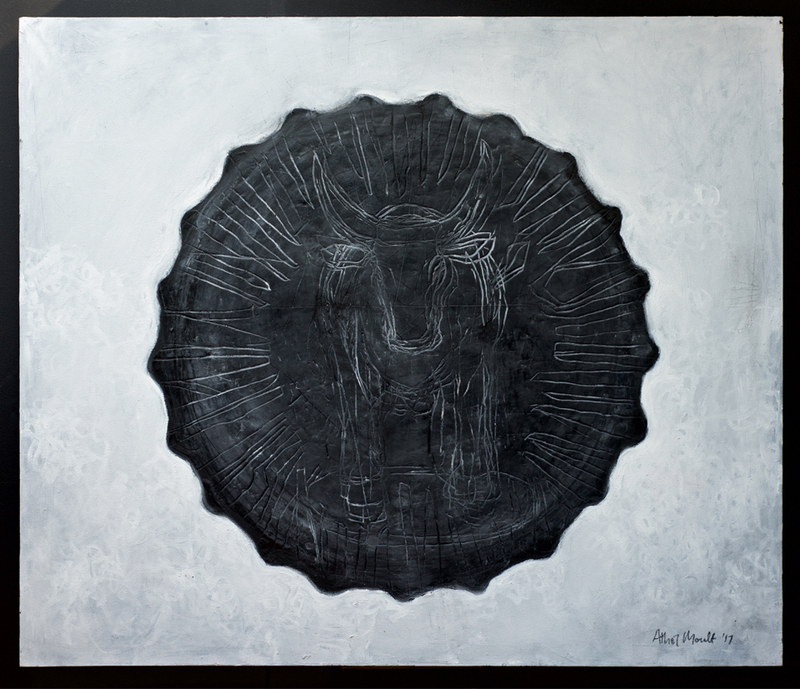 These artworks inspired by traditional subject matter with a contemporary interpretation, reflect the tensions and the harmonies that exist between man and woman and his or her traditions, and the cattle that are at the centre of this ritual. Encaustic medium, oil stick and paint on canvas. All prints are printed with archival pigment inks on 100% cotton rag paper. Each print is part of a numbered limited edition, signed and embossed in the front lower margin. 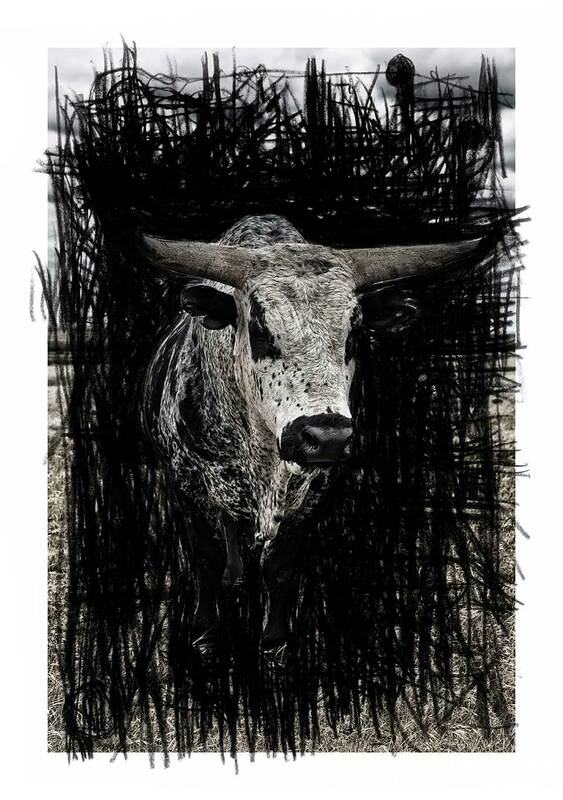 This giclée print is a 100% archival, using both archival paper and inks.